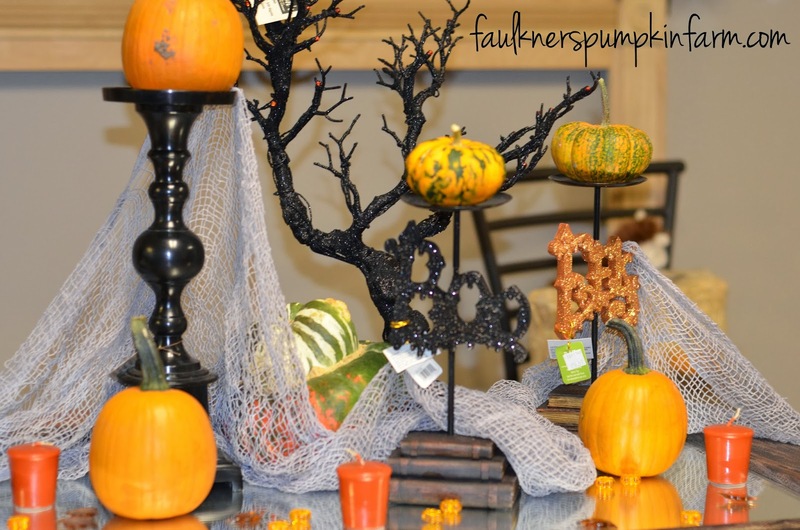 Recently, the lovely people of Cameron's Home Furnishings invited us to teach a class at their store on decorating with real pumpkins. First things first, if you have never been to their store in downtown Lee's Summit, go there now! Everything is absolutely beautiful - you could spend hours in there shopping your little heart away! Anyway, back to the pumpkins! 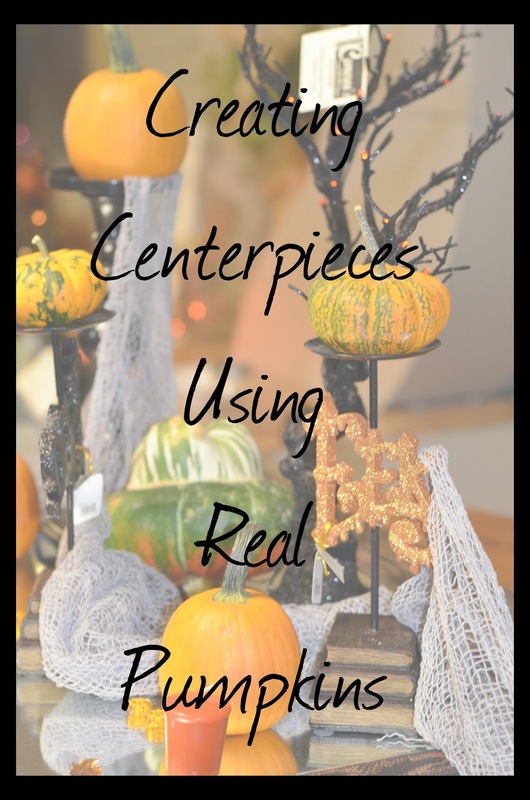 We spent an evening with almost 30 lovely ladies, sharing with them our favorite tips and tricks for using real pumpkins in centerpieces and displays. Of course, we love our blog readers so much that we just had to share those secrets with you too. Enjoy! Tweak to Add a Punch! Let's break that down for ya! Base - Always start out with a base to give yourself a boundaries. This can be a table runner, a piece of fabric, a tray, a basket, a mirror, a tree stump, anything! If you want something a bit more dramatic, choose something that elevates your centerpiece from the table. If you're looking for something convenient with little kids around, choose a tray or basket that you can easily move. Think Big - Once you have your base, the next step is to add your biggest items. We usually recommend adding at least three large items that are slightly different heights to create a visual triangle. This is a great place to add your pumpkins or gourds. By the way, pie pumpkins (the middle sized) work great for this. Also, you don't want any of your items to be over 8" tall if you are using this on a table. Some people recommend nothing over 1 foot, but that seems to block a lot of people's views across the table. Remember: You want them to be talking about the centerpiece, not over it! Fill, Line, or Bunch - Next is the fun part! This is where you start to make your centerpiece come to life. 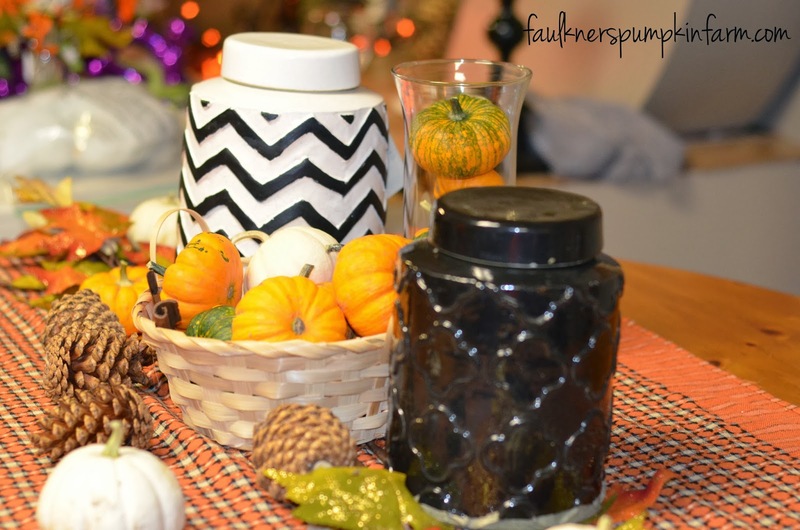 There are three main ways that you can put together a centerpiece. You can fill it (i.e. 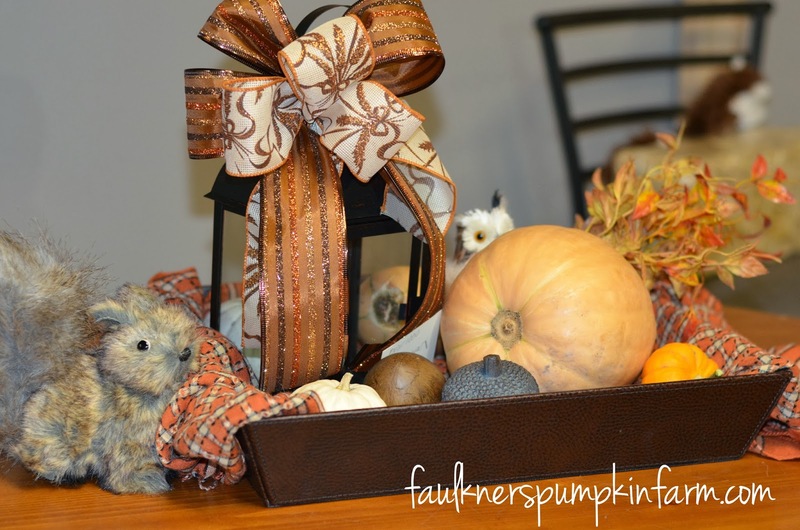 put a bunch of pumpkins and pine cones into a basket), you can line it (pumpkins and candles in a row), or you can bunch it (create a vignette using pumpkins and decorative items). If you are putting a display together and it just doesn't seem right, try switching up what you are using. We can usually guarantee that one of these three will work. Tweak to Add a Punch - This is the step where you look back and see what is needed/missing. Maybe it is color, so you can throw in some bright mini pumpkins. Maybe it needs more texture, so you can add some leaves. Maybe you're missing height and can throw in a taller lantern. Play around with it and have fun! Remember: You can always add something and remove it. Sometimes you'll be surprised at how something unusual will make a great impact! First, know your style. One of the easiest ways to do this is to create a Pinterest Board and see what you pin the most. Second, know how to pick the right pumpkins (ones that will last). You can find our Pumpkin Picking Tips here! 1. Choose items that you can use year-round. You'll see that in almost all of the images, several of the items can be used outside of Fall. 2. Invest in versatile items. Pine cones, leaves, scary cloth, etc. can all be used several different ways each fall season. 3. When choosing seasonal items, pick ones that you LOVE! You know that feeling when you open up your bin of decorations and get excited over one of your favorite pieces? That's what you want for almost everything you own! 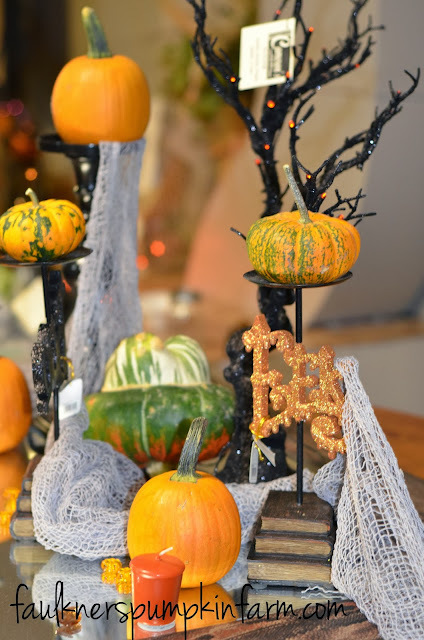 Right now, Cameron's has the most adorable Fall and Halloween pieces you've ever seen! It's the kind of stuff that you will love for years and years to come! Trust us, if you follow these tips you'll be well on your way to having a centerpiece that is the talk of the table! 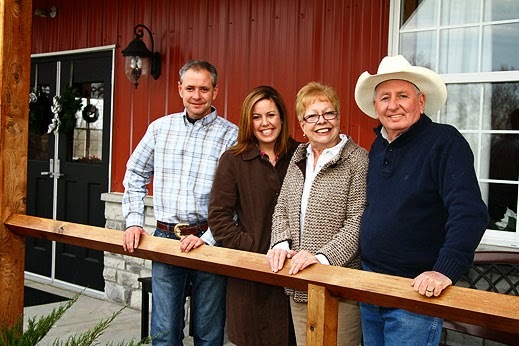 PS - Don't forget to go like our friends at Cameron's Home Furnishings on Facebook!